Wise Owl’s ‘Food State’ Vitamin D is a natural nutritional supplement in a whole food complex, for optimal absorption & utilisation. It also benefits from active metabolites which are necessary to activate vitamin D activity. Many people who live in countries with low levels of sunlight (including the UK) have been reported to have low levels of Vitamin D. It has a significant impact on the levels of calcium that the body can absorb. It is vital for bone density & helps to prevent against degenerative diseases like osteoporosis. 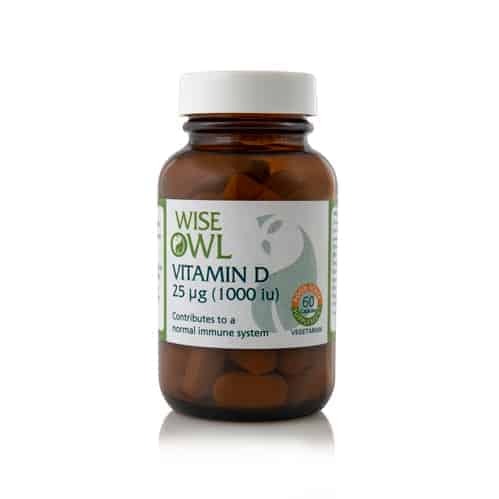 Wise Owl's 'Food State' Vitamin D is a natural nutritional supplement in a whole food complex, for optimal absorption & utilisation. It also benefits from active metabolites which are necessary to activate vitamin D activity. Vitamin D is a fat soluble vitamin that can be produced within the body as well as from your diet. The human body can also make vitamin D from direct sunlight, or when an ultraviolet light source, hits the skin & triggers vitamin D synthesis. Vitamin D is a fat soluble vitamin that can be produced within the body as well as from your diet. The human body can also make this vitamin from direct sunlight, or when an ultraviolet light source, hits the skin and triggers the vitamin synthesis. a potent antioxidant that may help to delay the ageing process. it also helps to build strong and healthy bones and teeth. The body needs vitamin D to absorb calcium. Without a sufficient supply of the vitamin, the body cannot form “active vitamin D”. This in turn leads to insufficient calcium absorption from the diet. If the body doesn’t receive plentiful supplies of calcium enriched foods it will leach calcium from the body’s own reserves, stored in the skeleton. This will have the effect of weakening existing bone and prevents the formation of strong, new bone. A person who does not get enough vitamin D and calcium is at a higher risk for bone mass loss, of which one example is osteoporosis. It possesses a crucial connection with gene functioning. It has a significant impact on the levels of calcium that the body can absorb. It is vital for bone density and helps to prevent against degenerative diseases like osteoporosis. In the Food State form this vitamin D supplement also benefits from active metabolites which are necessary to activate vitamin D activity. 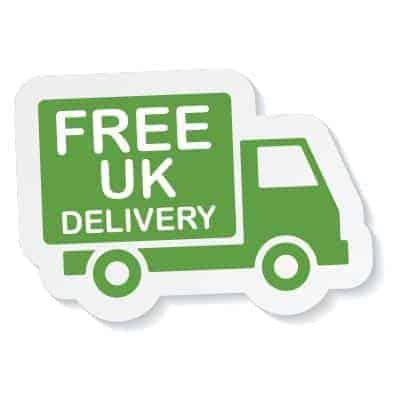 Suitable for: Men, women, children and the elderly including vegetarians and for people with Candida and yeast sensitivities. Product Ingredients: Yeast concentrate* providing vitamin D3; vegetable cellulose.